Add sumptuous, customisable colour to your pout with Burberry Kisses; a buildable lip colour that can be layered for enhanced depth and vibrancy. Infused with a nourishing blend of Rosehip, Tea and Lavender, the weightless lipstick melts on effortlessly to deliver long-lasting moisture and hydration. 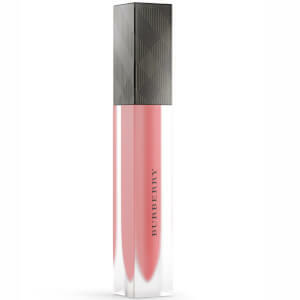 A mix of satin-finish pigments and shiny polymers leave lips smooth and comfortable with luminous, brilliant colour. Available in a range of shades to flatter all skin tones. Apply directly to lips. Layer for more intense colour. Octyldodecanol, Diisostearyl Malate, Trimethylolpropane Triisostearate, Hydrogenated Polyisobutene, Vp/Hexadecene Copolymer, Polyethylene, Dipentaerythrityl Hexahydroxystearate, Dipentaerythrityl Hexaisononanoate, Cera Microcristallina (Microcrystalline Wax), Polyglyceryl-2 Isostearate/Dimer Dilinoleate Copolymer, Mica, Hydrogenated Styrene/Methyl Styrene/Indene Copolymer, Vp/Eicosene Copolymer, Disteardimonium Hectorite, Barium Sulfate, Stearalkonium Hectorite, Alcohol, Butylene/Ethylene/Styrene Copolymer, Ethylene/Propylene/Styrene Copolymer, Propylene Carbonate, Butyl Stearate, Isostearyl Alcohol, Caprylic/Capric Triglyceride, Pentaerythrityl Tetra-Di-T-Butyl Hydroxyhydrocinnamate, Dicalcium Phosphate, C20-24 Olefin, C12-15 Alkyl Benzoate, Dibutyl Lauroyl Glutamide, Aqua (Water), BHT, Tribehenin, Hydrogenated Vegetable Oil, Ceramide Ng, Crithmum Maritimum Extract, Spilanthes Acmella Flower Extract, Peg-10 Phytosterol, Lactic Acid, Palmitoyl Hexapeptide-12. [+/- (May Contain): Ci 77891 (Titanium Dioxide), Ci 77491, Ci 77492, Ci 77499 (Iron Oxides), Ci 15850 (Red 6, Red 7 Lake), Ci 45410 (Red 28 Lake), Ci 42090 (Blue 1 Lake), Ci 45380 (Red 22 Lake), Ci 77742 (Manganese Violet), Ci 15985 (Yellow 6 Lake), Ci 19140 (Yellow 5 Lake), Ci 73360 (Red 30 Lake)]. Please Note: Ingredients may vary by shade. Please check individual packaging for most accurate ingredients. 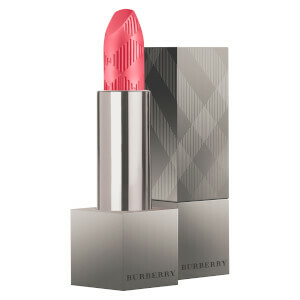 A beautifull brand, thank you Burberry for your performance, beautifull range of colors for every lipsticks and glossy. Sophisticated and a every colors are perfect, not very shining, just the good touch. When buying in Black 5, the price is very affordable, logistics 10 days or so to the midway and customer service links are also smooth, will buy back! I've always wanted No. 93, but I haven't seen my dear one. I'm very disappointed and look forward to earning it in the future. When I got the lipstick and opened the lid, my heart broke. The lipstick cream broke and stuck all over the lid. Because of the international package, considering the freight and so on, I gave up the replacement, admitting that I was unlucky. (later, the lipstick is tucked back in and can be used again.) but the lipstick is a beautiful color, a natural color, and feels smooth. Good for use，beautiful color and not dry. 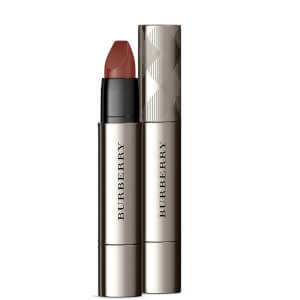 It is a really good product in Burberry from the package to the core. 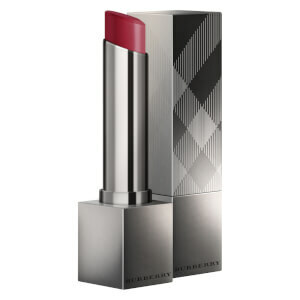 I really like the make-ups from Burberry because of the luxury exterior. And the lipstick is very smooth and sericeous to fit the dry lips.